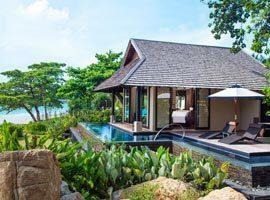 Our list of the best hotels on Chaweng Beach Koh Samui places you in the most vibrant and popular part of the island, close to attractions like markets, shops, restaurants and exiting nightlife while enjoying uncompromising levels of service. And, to make sure you don't pay more than you have to you can count on us to find up to date prices and the guaranteed best deals. Catering to every requirement there are luxurious resorts of which many offer family friendly facilities, romantic villas located in quiet corners, spa retreats and cheap budget accommodation is in no short supply. Chaweng is a great beach for swimming, offers water sports and the tunes drifting from the beachfront resorts and bars add to an exiting and joyous atmosphere. Here you can just plonk down at a restaurant with your toes in the sand, order a snack and a cocktail, get immersed in the island atmosphere and know you are exactly where you should be. Depending where in the area you stay you can either experience exhilarating evenings with music and dance, be amused by fire shows or hit the neon-lit club scene. Alternatively you can choose hotels in south Chaweng Noi or the northern end which are the quiet parts, but still conveniently close to entertainment. 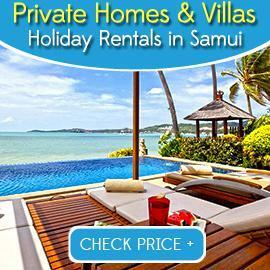 For couples the pool access room or sea view pool villa are private sanctuaries. 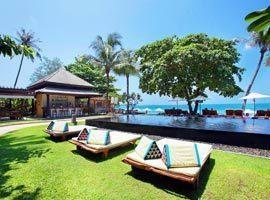 For families traveling with kids the 2 bedroom beachfront villa with separate lounge and private pool is ideal. In the quieter south, but near enough to entertainment for convenience. 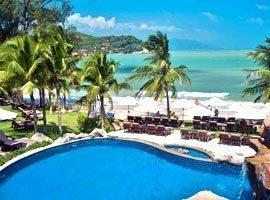 It offers seafront accommodation which include a 2 bedroom family suite, sea view rooms and triple deluxe rooms. Located on the tranquil northern part of the beach Bhundhari cascades down a palm tree dotted hillside to reveal spectacular views and has a southern Thai design for an original feel. Situated in the centre of Chaweng Buri Rasa offers accommodation in intimate rooms featuring private balconies and charming semi-out-door bathrooms. The deluxe garden features a dip pool. With a sublime seaside setting it offers all the facilities the Centara resort chain is famous for sch as a swim-up pool bar, kids club and kids pool, a pampering spa, a Padi dive centre and romantic pool suites. Spacious rooms with strong Thai accented decor. Some rooms come with stunning ocean views, others with exotic garden views and all feature luxury bathrooms with Jacuzzis and outdoor terraces. 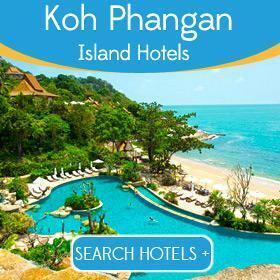 Asian chic and barefoot tropical luxury combines in the most sought-after location in Koh Samui. 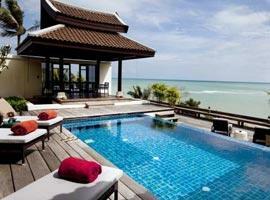 Sareeraya's Villas are private, utterly romantic and from your pool deck enchanting views unfold. The Briza Resort's design emulates the ancient Srivijaya empire. 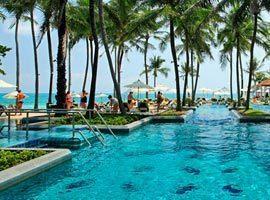 It offers facilities such as seaside massage, a spa and fitness centre. Cascading down a hillside are pool access rooms and villas on the beach. One of the best hotels for couples Vana Bell offers romantic accommodation in exquisite suites featuring outdoor terraces revealing eye candy views over exotic panoramas from a personal pool.